In the latest issue of Kiteboarding.de you can find an interview with me. Henning Nockel made this interview during my trip to RSA this Winter. Lots of things have changed since this time, but I’m happy to get this coverage over 6 pages in one of the major German kitemags. On the 9th day of my training in Capetown I decided to start earlier in the morning to ride in lighter winds but when I was standing on the beach at 9 o’clock it allready blew with 30 kts. So I went to Bigbay, took my 8 and had a good session. 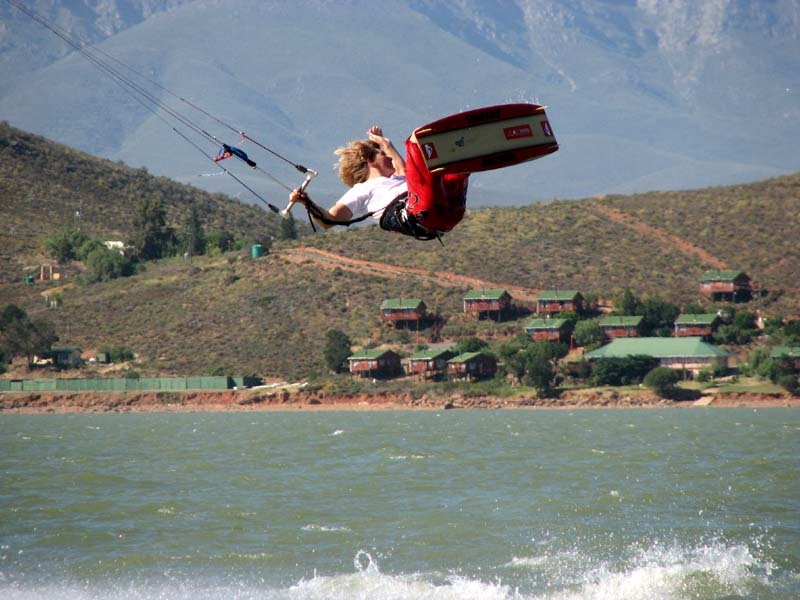 After lunch my father and I went to Brandvlei to train Freestyle. Overall it was a good day and I had lot of fun. We also took pictures. You find some of them in the gallery. 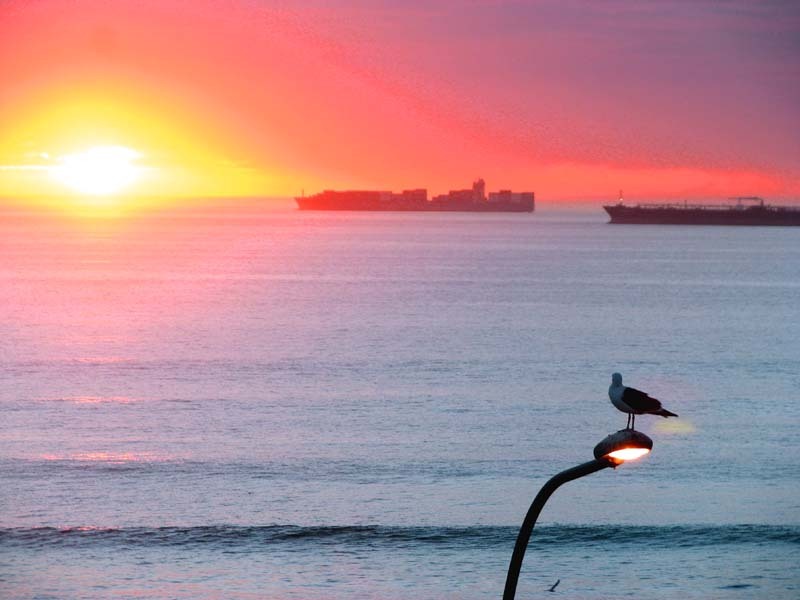 Today we stayed in Capetown because the forcast looked good and four meter waves were predicted. The wind was really strong and we started the day with a downwinder from Dolphinbeach to Bigbay. Was really nice. After lunch we got back to Bigbay and Silvester and I went out on our 7’s. I was almost overpowerd and we did some nice big airs and some high Kiteloops. After a bad crash I stoped it for today and also Silvester quit his session. No wind and a lot of rain. So we chilled in our house and worked on my new homepage. Silvester really helped me a lot and made this all happen. Big thanks to him. This day Silvester, my father and I went to Langebaan because the wind in Capetown was to strong. When we arrived it looked not that good but after some waiting and a spotchange we went out on our tens. I landed some nice and powerd tricks and was pretty happy about that. Today Silvester Ruckdaeschel, Henning Nockel, my father and I went to a lake called Brandvlei. When we arrived the wind was pretty bad and it was to less to kite. We waitet about one hour and then the wind came. Silvester and I went out on our 12m kites. Henning shoot some pics and my father filmed for our next video. Silvester did some really nice Slims and Backmobes. 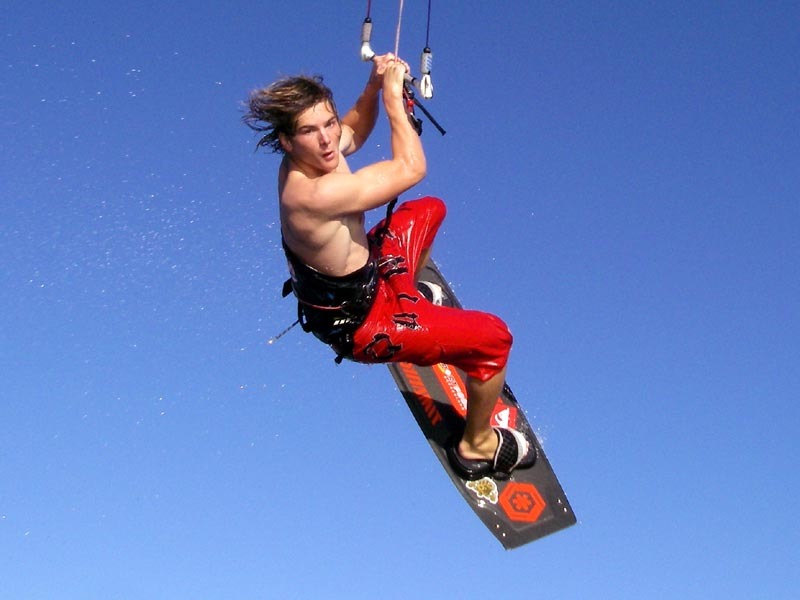 He did it with bindings so it looked really powerd. Wakestyle at its best. I also tryed some new stuff like Nukegraps to 313 and Nukegraps to blind. I sticked some of them. Some pics of this incredible day in the gallery. After this nice session we went back to Capetown for dinner.